The Pacific Creek team combines considerable expertise in electrical and mechanical design. 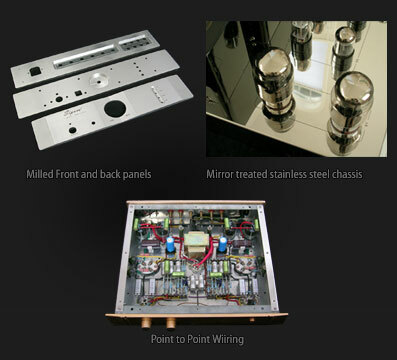 Our hallmark is continued refinement and excellence in design and production. In order to make quality tube amplifiers affordable to more music lovers, Pacific Creek works closely with its manufacturing partners while managing research and development, component engineering and aggresive quality control.